Expand your fleet and go to battle with “Action Stations,” the new Forumini fan deck for Axis & Allies War at Sea. 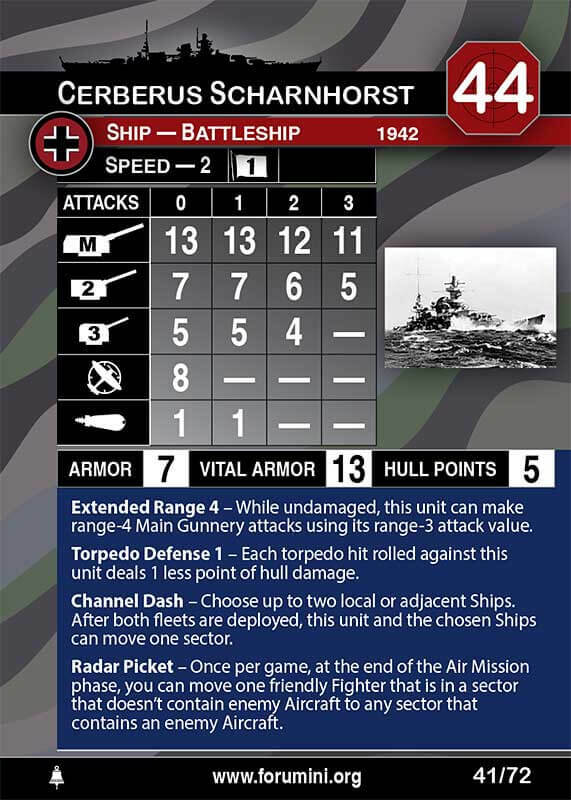 Dash through the English Channel on the Scharnhorst, relieve Malta with supplies from the bridge of MV Melbourne Star, and stop the American assault on Guadalcanal from the cockpit of your A6M3 “Hamp.” High quality collectible cards include a brief history and original specifications of the unit on the back side. Each pack includes 72 cards that have been designed and play tested by passionate volunteers of the website www.forumini.boards.net This is a STRICTLY ‘not for profit’ product and is sold purely to recover manufacturing and shipping costs for the team. Rival Sky Games is honoured to be included in the final process!